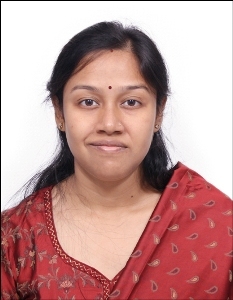 The definition of STEAM has transformed into creative opportunities and combination to form newer subjects that are not restricted to the traditional Science, Technology, Engineering, Arts and Mathematics, writes Dr Deblina Saha Vashishta, Management Faculty and Academic Consultant, Bangalore University for Elets News Network (ENN). In recent times, STEAM has become a widely known term for teachers, parents, homeschoolers or anyone who is associated with education. The society has been primarily driven by Science and Math. Over the years their applications have also gained momentum in the form of Technology and Engineering. From here begins the journey of Innovation which is now the indispensable part of learning. At the same time, keeping in view the dynamic and unpredictable nature of the economic climate, Art and Design have also gained substantial importance. It is expected that our economy will be transformed gradually by Art and Design in the 21 st century as it was done by Technology and Math previously. Hence the metamorphosis of STEM to STEAM where S stands for Science, T stands for Technology , E stands for Engineering , A for Arts and M for Math. Every education system and the educator associated with the system puts an effort to produce successful professionals like Engineers, Designers; yet a huge shortage has been found in the skillsets at the global level which have led to the redefining of the educational priorities and hence opting for STEAM learning. This kind of learning not only induces theoretical concepts in the minds of the students but it also inculcates the ability of reasoning, problem solving, innovating and creating. The United Nations Sustainable Development goals emphasize on quality education along with Global Citizenship and promotion of science and technology innovation and cooperation between countries. The major reason for this is the findings by the UN which imply that STEAM learning fosters skill enhancement in the learners, and also plays a crucial role in reducing poverty and inequality in developing countries. Countries all over the world including the United States, Japan, Finland, Great Britain, France, Norway and many more have been implementing STEM learning since long and the status of this kind of learning in these countries has become remarkable and significant. Majority of the nations worldwide, are adopting STEM learning by setting up curriculum that adheres by STEM methodology and also persuading their respective governments to make the transition in their education system. Some inspiring and motivating instances are like development of Micro: bit by BBC in the UK and introduction of National STEM frameworks for 2020 by Japan. Micro-bit is a small economic code able device through which teachers link STEM to real life problems. This project was rolled out to one million children by the UK in 2016. So the developing nations like India, Africa are also working hard to induce and promote STEM in their educational programs. But at the same time, there are many challenges like poverty, lack of interest among children for the STEM classes, gender inequality and stereotypes that make the universal implementation of the program difficult. Along with this the other challenges to be overcome are infrastructure, curriculum and to have trained teachers to provide best guidance and support and funding. For successful implementation of such learning programs in countries where poverty persists at many levels the awareness for the same has to be made clearly stating the importance and the expected transformation in the economy. The learning has to be made interesting for children by introducing various innovative, creative areas and learning with fun. role in addition to conventional STEM subjects. The best aspect of STEAM learning is the degree of sovereignty given to the students. Each learner has the full freedom to choose the issues that appeal them the most and work on projects based on them. This inculcates the independent and free thinking to decide on the objectives and methodologies to achieve them. The artistic component makes such learning more exploratory and experimental. Complex topics related to subjects like Math, Science, and Programming become accessible and enjoyable when approached with a creative mindset. Evaluation of the projects is not based on fixed criterias instead they are valued with a subjective approach where creative expressions are given weightage. This leads to open ended creative learning in the form of prolific play and inquest. Given the freedom and flexibility, learners learn to customize and adapt the best solution to fit into a problem. STEAM learning also paves a way for the visualization of the larger picture of the concepts prevailing in the real physical environment. Projects like basic robot construction, website development, development of statistical analysis software, or architectural designs boost the confidence among the learners to face the real time and real life situations. In this kind of pedagogy and learning style no student is penalized for making mistakes, rather, failures are considered to be a productive opportunities that lead to success. Students have the privilege to learn at their own pace and according to their skill levels. The fact that every student is unique and creatively innovative is the major essence of STEAM learning. There are no boundaries or constraints imposed at the intellectual level and hence the learners feel free to exchange their ideas with lateral thinking. Visual presentation is the keyword in today’s era and the artistic component helps learners achieve that with respective subject knowledge. Both the components-artistic and technical go hand in hand and that helps STEAM learning to evolve as a dynamic and interesting learning program. The unbiased representation of all the subjects encouraged by STEAM makes it an all rounded program that helps with an holistic development of the students. It is very essential that students as young as eight years should be given exposure to STEAM learning as previous research have shown that this is the average age when children exhibit interest in STEM fields and hence get fascinated by technology and gadgets. How to transform these students from technology users to innovators and creators all what STEAM learning focuses on. As many developing nations are now producing scientists and engineers it is time STEAM learning should be a part of the school curriculum with the support from the Government and different education societies. There should be emphasis on innovation, teamwork, logical reasoning and holistic development. STEAM learning is the way that can revolutionize the education system globally by fostering creativity among the students against rote learning.